Seattle is the commercial, cultural and advanced technology hub of the Northwest USA and a major port city for Pacific and European trade. Home 4 buildings over 200m and the famous 184m Space Needle observation tower, Seattle is surrounded by mountains and water and offers some picture-perfect views. Seattle is commonly referred to as the Emerald City and renowned as a great social and corporate city with infrastructure. The planning is spectacular, as it helped create the hill-like effect on the skyline’s silhouette, add the mountain backdrop and this city is almost a picture perfect. Best View(s): Kerry Park, Franklin Place. What was a tiny fishing village on the border of Hong Kong in 1970 is now a buzzing metropolis of over six million people! Already containing 20 buildings at over 200 meters tall, including the Shun Hing Square (the 8th tallest building in the world), the development is not stopping. There are photos of Shenzhen floating around the Web that appear so surreal, experts and enthusiast argue whether or not they doctored or real. Shenzhen is a spectacle of lights and neon signs after sunset, you can’t help but ask yourself… if you are in a video game or in a real city. The only downfall of the Shenzhen skyline is it is often criticized for its high levels of smog. This is probably the most impressive city worldwide that has less than 2 million residents. Marvelous modern buildings reach the sky here, and while the skyline is not exactly the densest, it does allow buildings to soar and stand out. Kuala Lumpur has 10 structures standing over 200 meters tall with three of them being in the 25 tallest buildings worldwide. Kuala Lumpur is also home to the tallest twin buildings, the Petronas Towers as well as the peaking, 420 meter Menara Kuala Lumpur Tower. Along with Singapore are said to be the frontier cities to boom from the Southeast Asian economic revolution. Tokyo is the world’s most populated city and considered by many to be the capital of the Eastern world. Its skyline has a number of unique characteristics that set it apart from other big city skylines, among them 18 structures at over 200 metres tall (including the Tokyo Tower which changes colors every night). But because of the density and vast size of the city, every corner appears to have its own skyline. With the height restrictions and the required red lights that flash atop all mid to tall-sized buildings make the city look spectacular at night. Tokyo is filled with neon lighting and unique, contemporary architecture, and like New York City is also often portrayed in movies for its aesthetic and eye-catching cityscapes. The Mt. Fuji range in the distant view, adds that technology meets nature contrast. Interesting fact: Tokyo houses the world’s largest fleet of helicopters to get around town if traffic gets too crazy. One of the best (urban) planned and cleanliest metropolitan cities in the world, Singapore looks like an architectural city model come to life. The buildings cannot be higher than 280 metres due to air traffic control restrictions, but that has added a tall (but not too tall) and consistent building height and space pattern that makes this skyline unique: Three buildings are exactly 280 metres tall and 6 others (11 total) stand at just over 200 metres. The buildings are mostly light-colored and there is a large expanse of greenery dotted around the city core. This South-Eastern city is definitely in a league of its own. Not to be mistaken for a space station, Shanghai is a real city! China’s biggest and most advanced city, Shanghai was said to be one of the most modern cities at the turn of the 20th century, but lost its glory, due to a long standing repressive rule. It is now quickly regaining its position as one of the biggest economic powerhouses in the world. Shanghai is becoming a showcase of modern architecture and is quickly amassing a collection of sky reaching buildings decked along the edges of the semi-circular shoreline in Pudong district. 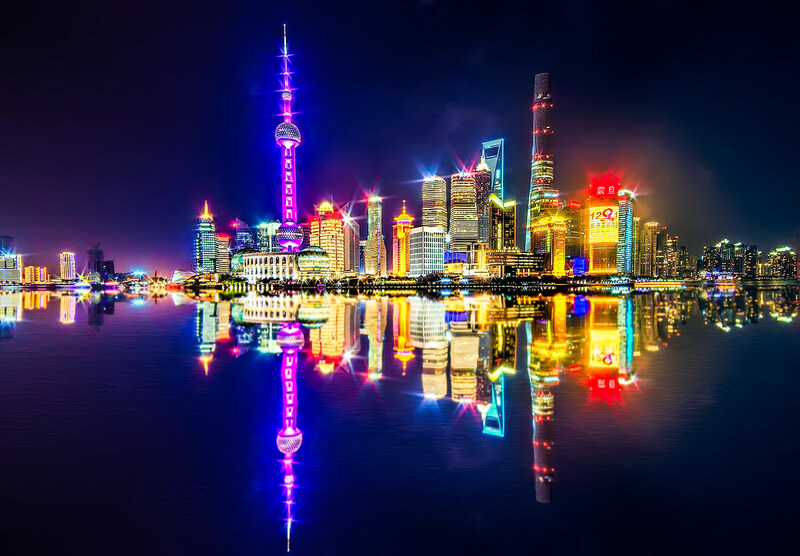 In Shanghai you’ll find 28 structures that are over 200 metres tall and two over 400 metres including one that is insanely tall (468m), the Oriental Pearl TV Tower. Much thanks to Luigi Di Serio for providing this list. Also Sydney is spectacular as well I should have mentioned. New York HAD the best skyline..sixty years ago. Why is NY on the list? And why only Chuck Norris and Bruce Lee cities? NYC currently has more tall buildings than anywhere else on earth. Now, granted, that doesn’t necessarily mean “best skyline”. That’s a personal preference. For all I know, one could prefer the Walla Walla, Washington skyline. But, the biggest skyline is definitely NYC, and HK is definitely #2. I agree with your list. Hong Kong is breathtaking when you land by plane at night and you see the whole city vista laid out to one side, though when I last did that was in 1994 at the old Kai Tak airport rather than the new Chek Lap Kok and I imagine the view landing at CLK isn’t as spectacular – but I could be wrong. If you’re asking who has the most tall buildings, the indisputable answer is NYC. And HK is easily #2. After NYC and HK, all the other cities are far, far behind. Its hard to say NYC isn’t #1 when every other city in the world used it as a model to build what they are today. The picture of Singapore captures about a third of the skyline. It’s impossible to capture all in one shot as lies around a bay in a circle. 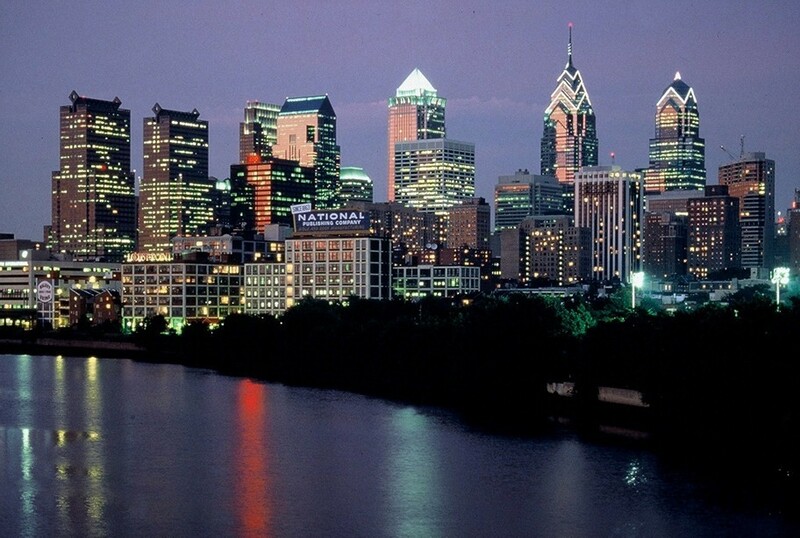 People do not appreciate Philadelphia. Where in the world Is Dubai on that stupid list! The Burj Khalifa is 828 meters tall and has 163 stories! And the Burj al Arab, that’s a 7 STAR HOTEL! DO YOU KNOW HOW MUCH MONEY IT COSTS TO STAY IN THE BURJ AL ARAB FOR ONE NIGHT! IN THE BURJ AL ARAB THERE ARE RAIN SHOWERS, JACUZZIS IN EVERY SUITE, PERSONAL BUTLERS ON COMMAND, A ROLLS ROYCE FLEET, AND DINING UNDER THE SEA AND STARS! THAT COSTS $1000 A NIGHT! THAT’S JUST FOR A SMALL ROOM ITSELF! ALL THE BUILDINGS ARE SO HUGE! LIKE THE MARRIOT HARBOR, THAT’S 54 STORIES TALL, AND IN DUBAI IT’S CONSIDERED A 3 STAR HOTEL! 3 STAR! WHAT IS WRONG WITH YOU PEOPLE! I personallly don’t like the Dubai skyline, because it’s ugly and pointless, IMO. It’s just random giant towers in the desert. The highrises aren’t even downtown, so they”re basically just exurban sprawl, but 100 floors in the air, and surrounded by nothing. To me, skylines are supposed to be urban, pedestrian and transit oriented, and supposed to lead to density and vibrancy. They’re supposed to work as part of a cohesive whole. I don’t really care for towers in the middle of nowhere. Give me Manhattan over Dubai any day. …put a better photo for Kuala Lumpur. Love this city especially near the Petronas Towers. Can you provide a better photo or a link?